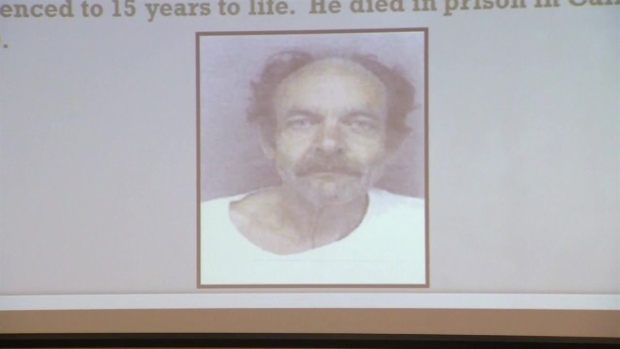 A man has been linked to five deaths in New Hampshire in the 1980s by authorities, seven years after he died in a California prison while serving time for killing and dismembering his wife. New Hampshire authorities say they believe Robert "Bob" Evans was behind the murders of a Manchester woman who went missing more than 35 years ago and those of a woman and three little girls, whose bodies were found in steel drums in 1985 and 2000 in a state park near Allenstown. Evans was linked to the grisly Allenstown case after DNA revealed he was the father of the middle girl, whose body was found in 2000. Investigators say the girl is not related to the two other girls and their mother, but all died between 1980 and 1984. While the adult woman and elder girl died of blunt-force trauma, this particular child's cause of death has not been released. The victims found near Allenstown have still not been identified. The body of the woman who went missing in 1981, Denise Beaudin, has not been found. Her daughter with Evans is still alive after she was given up to a couple in California, according to investigators. 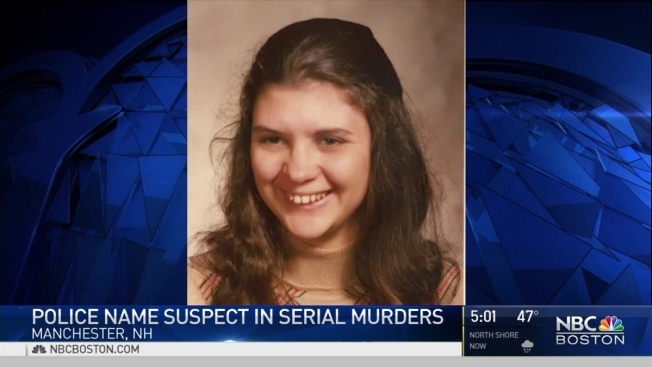 Authorities in New Hampshire say they believe a man is behind the murders of a Manchester woman who went missing more than 35 years ago and those of a woman and three little girls, whose bodies were found in steel drums in 1985 and 2000 in a state park near Allenstown. Evans, who was an admitted alcoholic, is believed to have used several aliases while moving around the country, including Lawrence Vanner and Curtis Mayo Kimball. Investigators admit there is much they don't know about Evans, including how old he was when he died in 2010. Authorities are asking anyone with information about Evans' whereabouts in the ensuing years from 1981 to 2002 or information about the Allenstown victims to come forward. Police recently searched a Manchester home where 23-year-old Beaudin lived with her infant daughter and Evans. Beaudin's family last saw her on Thanksgiving in 1981. When relatives went to visit a few days later, the couple and their daughter was gone. Her family assumed they left town to avoid financial troubles and never called police. Authorities recently opened a criminal investigation into Beaudin's disappearance based on new information. Beaudin's surviving daughter has asked to remain out of the spotlight, and is asking the public to focus their attention on the unidentified Allenstown victims.